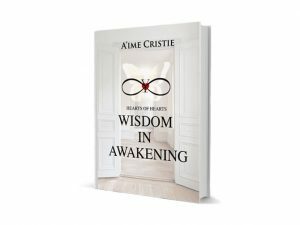 The bellow pages represents an excerpt from the book Wisdom in Awakening. There are moments in our lives when we question who we are, the reason for our existence. We strive to have consistency of much more of so-called positive qualities, to substantiate our worth and value, believing that this is what we need in order to have great lives. One day, tired , no longer coping with the shallowness witch built up along the years, striving for that which is unobtainable, a one sided existence, we change our search from quantity to quality, from positive to balance thinking our inner most predominant thought becoming the action steps of our lives. When this occurs, our everyday experience has meaning and substance, the similar and differences present in our daily actions are being embraced as blessings instead of hindrance. When we conscious of the order that underlines our everyday experience the way we see and evaluate ourselves and others is based on fair exchange. Our conversations are no longer based on judgment, performances and preferences of likes and dislikes; the subtleness of what’s most meaningful for us as much as for the other, transpires in the quality and value of the words we are using. Through the wisdom acquired with the passing of my life, yet this time I am not measured in years, but in heartfelt moments, could not stop noticing our yearning, yet might be silent of wishing to be seen for our value, our depth the difference that we can make with all that we are and what we have. Now finally being seen as a priority not as an option. Every single one of us has a divine meaning and purpose, there is no person whose life is meaningless and purposeless, yet living in the ideas of others of what I suppose to be instead of who I am, makes us think that we have nothing worth to offer. Ask yourselves, if you have nothing to offer and share would you be here now. Would you have paid the price and traveled the distance. The answer is simple, obviously not! I asked myself what makes this idea, the idea of I am so valuable, that I can’t stop refining it and defining it .as this idea occupies my time and becomes my life, is it an idea or is it more? And if more, more of what? What is the yearning that I have is it one thing or are there many which makes us breathe to see another day? What makes me wake up in the morning to deliver my service of love, or am I delivering my service of must? What makes me want to have and build a business or wish to make another business deal? Is it my survival asking or my inspiration dictates the path of my destiny? What makes me want to build teams, share my knowledge and expertise? What makes me so stubborn, that no matter how many times I fail, keep going back to the same idea, where is no question that my life is worthwhile living? What makes me want to hold on to my goals? Do these goals belong to me or to someone other? For no reason I wake up no longer keen of attaining them as my every single step guides my presence, feeling one in the intrinsic action that turns my breath into my steps. What makes me not, willing to envisage anything or anyone else, but my immortal beloved, my soulful presence in an inspired vision across the globe? What makes me fill in my time with much more of same, that is and becomes my inner most predominant thought? That thought idea or service that shows signs of becoming manifest real. What makes me talk to myself for hours at end, the topic that never leaves my sight? Those thoughts that do not wander, that substantiate the truth of my existence for which is no end, where the solutions that I am searching for are to be found in the same place from where my questions come. When I am at work, or at home, at my dinner table, what makes me bring back the conversations to the same topics .What makes these topics so good that can fill in my time and also my space? What is that goal that inspired mission that never left my sight yet often failed that one thing that I see slowly and surely coming about, the one thing that I cannot let out of my sight, the one thing that it is worth dying for? At this point, fear no longer exists; the ideals that shaped my mind dissolve in the inspiration of the moment. What would be like to know and immerse myself in this moment? I see myself struggling with research and learning. What could be so important that I’ll pick up and study over and over again until my tiredness takes over for the moment, of one night, just so in the morning, can write and study once again? All that takes knowing is asking. Am I humble enough, and am I humble enough to want to know the source of my human suffering? Am I humble enough to want to know and love myself, not for what I have to be, but for who I truly am? I am asking you what is the value of a life of inspiration? Am I worthy of this? What if I could know the science that can enrich my life beyond measure? The one think that by knowing, you would not second guess yourself in who you are, no longer judging yourself in comparison with some ideal? What if I could change my life of search, and Y’s in one hour or an afternoon, from a life of judgments and mistakes in a life of certainty and presence, where I see the order of things meaning, that things are not in the way but on my way? What if this science is so powerful that will leave no question unanswered? What does it feel like to be touched ,in the spark of I am the star that I was searching for in being and becoming. What if I would be given a chance to know that the universe resides inside of me? What if I would have known that the importance of my life resides in my hands? Would that open the doors to eternity. The doors that lead me to my inspired destiny? What if I had known that there is no such thing of no importance? What if we are blessed beyond measure, yet the harshness of our everyday existence makes us forget who we are? What if you would know that there is no more important person than you, yet the many times you have been exposed to ideals of how you supposed to be, instead of who you are , made you forget your origin, the meaning of your existence and the purpose that you have ? What if there is no origination point outside this moment and by not being grateful for our existence in the moment ,the people that is filled with we miss out on the greatest opportunity that we ever can be presented with which is our life, for life is not measured in years, but in heartfelt moments. And what if for one last time you would know that the last breath is also your first and we’ll keep evolving and revolving around everything and anything that we were unable to love and embrace as our soul. What would happen to our life if only we could know how to see beyond the cloud of our judgment? What if for those of us whose willingness to find answers is stronger than the hopelessness of disowning our existence, there is a tool that unearths our light, bringing about inspired change the potentiality of manifesting our goals in existence , transforming the meaninglessness of time into the symmetry of perfection that we name, love. Would you want to know how?